South Suburban Savings: Get Northside Boots for Kids for only $14!! WOW!! 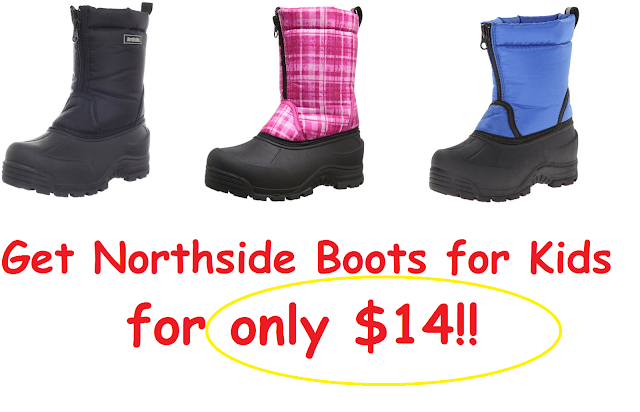 Get Northside Boots for Kids for only $14!! WOW!! Looking for boots for your little one? Amazon has Northside Icicle Winter Boot (Toddler AND Big Kid) starting at just $18. PLUS, enter coupon code "DEALSWEEK" and you will get an EXTRA 20% off your order!!! These boots are HIGHLY rated and the prices are the LOWEST they have ever been by far :) There are LOTS of different styles and colors to choose from.